There are different ways to identify whether a person is abusing drugs. They may sleep all the time or go for days in a manic state and not sleep at all. They may have equipment such as crack pipes or bongs in their room or on their person. Physical appearance can also reveal that a person is using drugs. It has become common to see side-by-side images of a person before and after they began to use meth on advertisements urging people not to use drugs. It is sores such as the ones on those advertisements that usually come to mind when people talk about addicts with sores on face from drug use. People use meth because of the intense high, or elation, that they experience when using this addictive drug. One of the side effects of meth use, however, is known as meth mites. The sores on the face because of drug use is the result of these meth mites. These are really not mites, but hallucinations experienced by many meth users. They feel like there are some kind of bugs crawling around under their skin. The physical cause of these hallucinations is that meth use causes the skin to dry out. This feeling of bugs crawling under their skin causes meth users to pick at the skin on their face and create sores on their face. These meth mites can also seem to be in other parts of their body, often in the chest and upper arms. Naturally these sores can become infected, making matters even worse. The sores on the face because of drug use may also be due to the fact that meth use dries out the skin on the face and the meth user may also develop a serious case of acne. Further, meth use amps up the user’s physiology which weakens the immune system, so the person may appear pale or sickly. For users who smoke meth, the skin may become wrinkled and appear rough in texture. Meth also suppresses the user’s appetite, leading to the loss of weight, decreased muscle tissue, and malnourishment, so the user may appear very thin, even skeletal. The meth user often neglects their personal hygiene, and sores on the face because of drug use that result often means that even small sores are likely to become infected. Most of the damage to the skin can never be fully healed. The sores on the face because of drug use are not limited to meth. Heroin use decreases the heart rate, circulation and metabolism, resulting in a decrease of needed nutrients to the skin. The skin will become dry, itchy and flakey and will appear cool or cold to the touch. Injecting heroin into the circulatory system may also result in infected sores on the skin. Users who inject heroin just under the skin risk infection under the skin which results in permanent scarring of the skin. Users who suffer from anxiety often pick at these sores and risk cellulitis, an infection of the body layers under the skin. Cellulitis can become fatal if the infection moves into the circulatory system and spreads throughout the body. The sores on the face because of drug use can worsen when the user withdraws from Heroin. Heroin withdrawal can also result in the user picking at their skin. Skin picking may also reduce the anxiety the person feels as they detox from heroin. These symptoms usually go away after detox, but may continue. In such cases, the person will need to be treated for the affliction using either behavioral therapy or even psychoactive drugs. What Drugs Cause Sores on Face and Body? The sores on the face because of drug use are not always caused by meth or heroin. Other drugs are known to have a negative effect on the skin. The sores on the face because of drug use may also be traced to cocaine use. When cocaine is snorted through the nose, blood vessels in the nose dilate and soon after return to normal, leaving the nose red and resulting in a stuffed up or runny nose. Sustained use can result in damage to the septum, the structure which separates the two nostrils. If this damage continues, the septum may collapse causing the nose to appear flattened or smashed in. Like meth and heroin, cocaine often suppresses the appetite. Lack of proper nourishment will weaken the skin and cause body tissues to shrink, so the person may look pale, sickly, or even emaciated. Oxycodone, an opioid like heroin, often causes the eyes to appear bloodshot with small pupils; the person will look tired or sleepy. 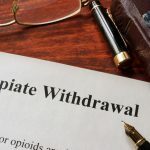 Persons using oxycodone according to a doctor’s prescription will probably not become the subject to the damage that sustained abuse of oxycodone causes. This is another reason why opioids, including oxycodone, should only be used according to a doctor’s prescription. Abusing oxycodone lowers both brain activity and digestion. The resulting malnutrition has the expected results on the skin, muscles, and overall body appearance. The sores on the face from drug use may therefore be related to oxycodone a well. The skin may also appear flushed when the person is high. Why Do Drug Addicts Have Bad Skin? The proper term for sores on the face because of drug use is an affliction called dermatillomania, which is a repetitive behavior of picking at the skin. This compulsive behavior is beyond the victim’s ability to control and requires treatment on its own. It should be noted that dermatillomania can also be caused by depression, bipolar disorder, or anxiety. The person who is abusing drugs will often neglect their diet and hygiene. As a result, the user’s skin does not receive the nourishment it needs to remain healthy. Instead, it may dry out and become flakey. The neglect of diet and cleanliness also increases the risk of infection in the skin. Weight loss can also result in the skin appearing stretched over the bones as it dries out. The sores on their face because of drug use are most commonly associated with meth use. Heroin, cocaine, and the abuse of oxycodone can also cause these sores to develop. In many cases, some of the damage can be repaired once the user detoxes from drugs and begins to live a healthier life, with increased attention to diet and hygiene. Unfortunately, some of the damage is never repaired. This is not something that people who use these drugs may want or expect, but it is part of the impact of their drug use.